This is a quick and easy recipe, but bursting full of flavor. Really, the only thing difficult with this recipe will be finding a good quality dried fig. Once you have the figs, you're ready for action. Preheat your oven to 350 degrees and while the oven is pre-heating, simply wrap the dried figs in a slice of bacon, securing the wrapped bacon with a toothpick. 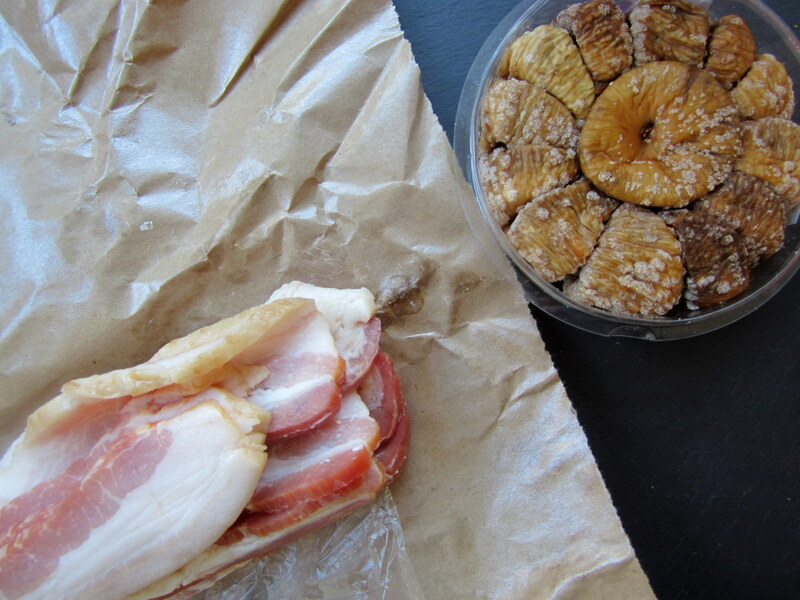 Once the figs are wrapped, place them in the oven and bake until the bacon is brown and crispy, about 20-30 minutes. It's just that simple. I think bacon is a perfect accessory to most dishes. Really want to wow your guests at your next dinner party without breaking the bank or breaking your back in the kitchen? Try this recipe on for size. The sweetness of the dried fig is a perfect pairing with the savory saltiness of the bacon.